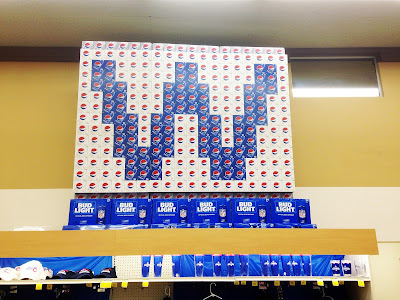 Ever since Tom Ricketts and his family loosened their purse strings and spent gobs of money to purchase their beloved baseball team, way back in 2010, ownership has been hungry for a World Series Championship. Ever since these new, financially-inclined owners went out and got their man, Theo Epstein, to lead the franchise in 2012, he and his front office cohorts have been hungry for a World Series Championship. Ever since this new Theocracy went out and began their lengthy rebuild by acquiring long-favored prospect Anthony Rizzo via trade, the players on the roster have been hungry for a World Series Championship. After 108 years of historic and oftentimes laughable futility, there's no doubt that generations of Chicago Cubs fans were absolutely STARVING for a World Series Championship. What do you do when you're hungry? You eat, duh, and that's just what the 2016 Chicago Cubs did - they feasted on the rest of the National League and, then, the Cleveland Indians on their way to that World Series Championship. Now that this hunger has been temporarily satiated, it's still important that you don't forget to eat some actual food, as well; you can't live off that excitement forever. 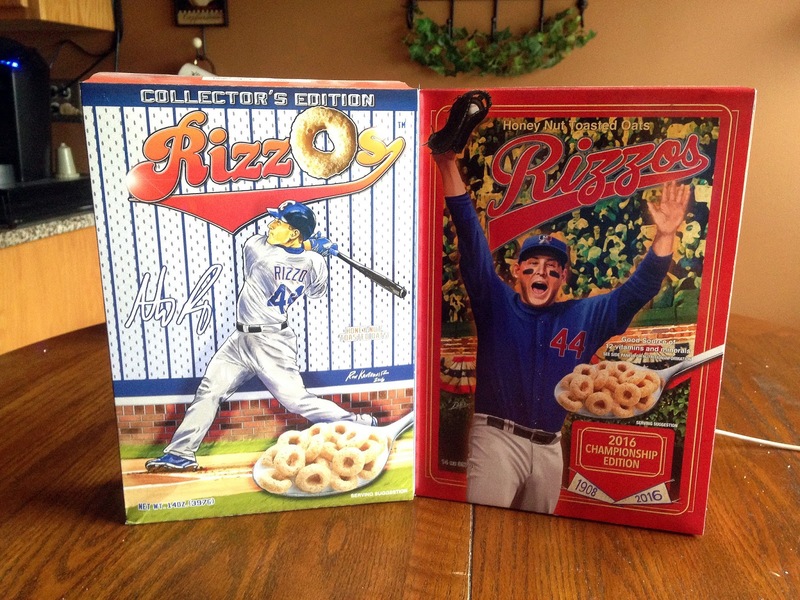 Thankfully, in the same way that Anthony Rizzo helped to satisfy the hunger of a title-starved fan-base, Mr. Rizzo is now helping those same die-hards start off their day with a balanced breakfast in their belly. 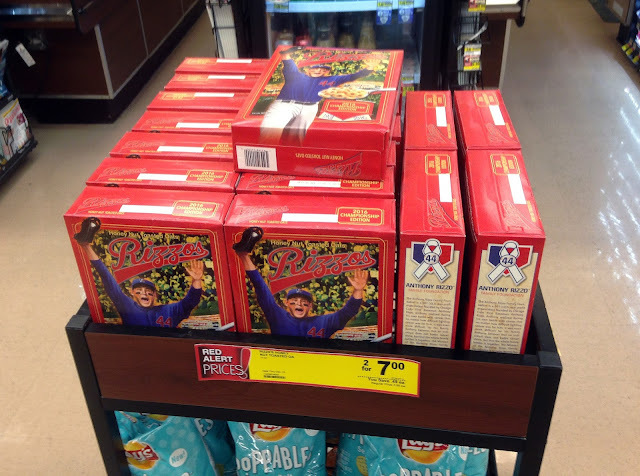 Last year, the popular Cubs first baseman and his Anthony Rizzo Family Foundation partnered with Chicago-area grocer, Jewel-Osco, and distributor, PLB Sports, to raise money and awareness for cancer research by branding a line of breakfast cereal in Anthony's name. Given that his last name ends with such a pronounced vowel, it's no surprise that the powers that be went with their own version of Honey Nut Cheerios - they are shaped like "O's" and all. This cereal was a big-seller throughout the course of the 2016 season and became something of a local sensation. Thus, the cereal is back again for 2017, this time with a key update. This year's version of the product is therefore labeled as the 2016 Championship Edition. You might say that these RizzO's are more like little World Series rings. With me being the incessant collector that I am, having already picked up the previous edition of the Cubs-tinged breakfast cereal, I couldn't help but to pick up another box of my own in order to complete the run, of course. So, one night, after work, my wife and I hopped into the car for the expressed purpose of picking up a box... and some odds n' ends on our grocery list, but that wasn't where my focus lied. 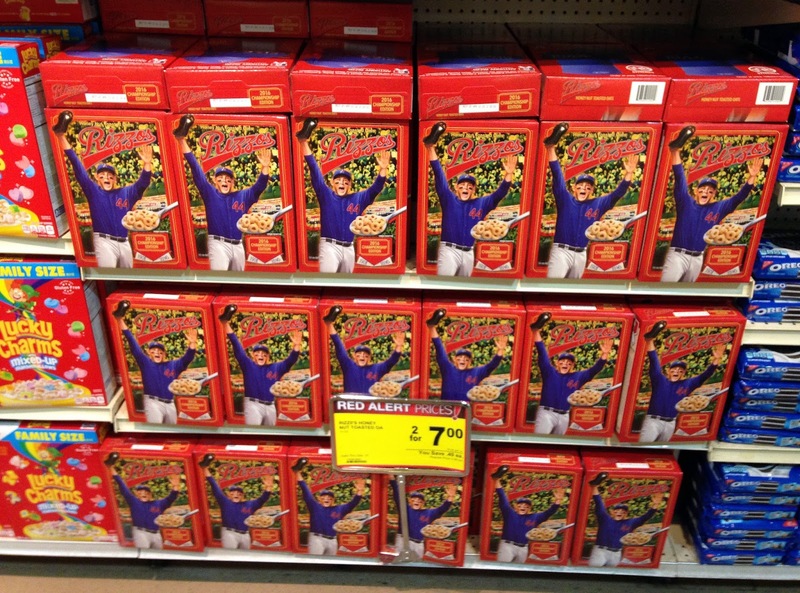 As you can see from the previous two photographs, Jewel was more than prepared for crazy Cubs fan turnout and this player-licensed breakfast cereal was well-stocked in multiple locations throughout the store. Although, having already been out for a week or so and with it already being marked with clearance prices, I have to wonder, will the 2017 edition of RizzO's be nearly as well-received as it's predecessor? Has the gag already run it's course? At any rate, I had my new collector's box of knock-off Cheerios (and bananas, apples, and mixed nuts) and I was a happy camper. Here's a closer look at the front of the updated box. Instead of featuring an image of Rizzo at the plate after a majestic, home run stroke, we see Anthony with his arms in the air, in a state of pure jubilation, immediately after catching the final out of the 2016 World Series. While the real deal happened in the birthplace of rock & roll, here the cartoon-ified Rizzo is placed on a background which features the capacity-filled Wrigley Field bleachers, with ivy and bunting abound. Of course, like last year's version, the key part of a balanced breakfast is not licensed by Major League Baseball and thus required the removal of all Cubs markings by airbrush and Photoshopping. I said this last year and I'll say it again now, it's a shame that the people behind this promotion didn't also include a trading card inside of their cereal, in the mold of the old Kellogg's or Post promos. I would love to own this same artwork, in 2.5" by 3.5" cardboard form for my binders. On the backside, there's a bare-bones advertisement for purchasing the Anthony Rizzo Family Foundation's latest t-shirt, manufactured in partnership with the 108 Stitches company, the same company behind former Cubs reliever, Jason Motte's, "K Cancer" t-shirts. There's not much to this particular top, but the blending of the "z's" in Rizzo with his uniform number of 44 is pretty neat. Plus, the proceeds go to an excellent charity. Here we get a nice rundown of the foundation's stated goals and their background, if you were curious. If you didn't already know, when Anthony Rizzo was still a prospect in the Red Sox system, he was diagnosed with limited state classical Hodgkin's lymphoma in April 2008 and underwent six months of chemotherapy. Ever since he got the news that his cancer was in remission, Rizz has been trying to give back and use his status to assist with those afflicted with the dreadful disease. Opposite of that, on the other side of the box, we have the nutrition facts, as required by the Food & Drug Administration. With that, we've covered each and every panel of the 2016 Championship Edition of RizzO's. Here's a side-by-side of the two editions, so that you can compare and contrast and/or admire my blossoming cereal box collection. In addition to these two promotions, I also have a box of Blackhawks' defenceman, Duncan Keith's "Keith Krunch" from last winter, as well as an old box of Slammin' Sammy's Frosted Flakes, released in the aftermath of the great home run race. As cool as these goofy, little promotions are, I'm running out of space on my mantle and if, heaven forbid, a Cub should appear on a box of Wheaties anytime soon, I don't know what I'm going to do with these things. Sidenote - seriously, a Cub has never, ever appeared on the front of a box of Wheaties. Not Sammy Sosa, not Ryne Sandberg, not Ernie Banks... what gives? Well, that's a lie, I know exactly what I'm going to do. I'm going to run to the store, buy a box, pour myself a big bowl of whatever and make space somewhere for the latest cereal box edition to my miscellaneous sports memorabilia collection. I may no longer be starved for a World Series Championship (though I wouldn't mind another), but I still need something to put on the breakfast table. Breakfast - it's the most important meal of the day, serving it up Rizz's way. Looks like the World Series MVP will be getting the balanced breakfast treatment as well, which seems only fair. I wonder what kind of cereal "Zorilla Crunch" will "ape." Allegedly, this is already even on the market! How did I miss this? Seeing as "Grampa Rossy" was one of the most popular personalities on the club and continues to shine in the public eye through Dancing with the Stars, this also seems like a natural selection. Guess I have to add "Grandpa Rossy Crunch" to the shopping list, as well. My wife is going to be SO thrilled. Awesome! I may get slightly better deals on cards being an out of market Cubs fan but you guys definitely get the best oddball stuff! I've got the original box courtesy of P-Town Tom but I'll have to find a way to get me some of those, too! I think Rossy should be the milk. After all, he is labeled as "a Great Teammate" on the packaging. It's the milk that makes the cereal work. Those prices, though! The collector in me says, "Yes!" The consumer in me says, "Egad!" I'll stick with my Keith Krunch, thank you. These need cards! Either ones that come in the box, or ones you cut out off of the box. 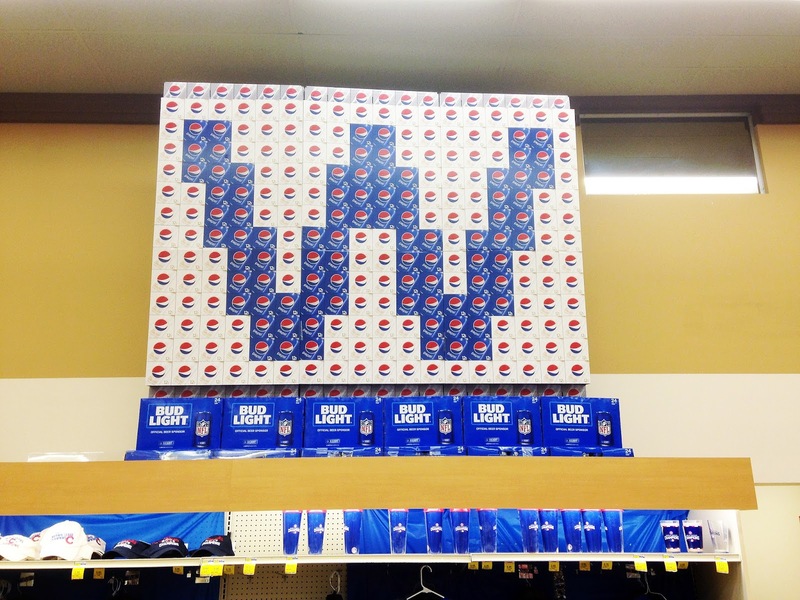 If I were still home I'd pick up a couple of boxes. Miss the Jewel. 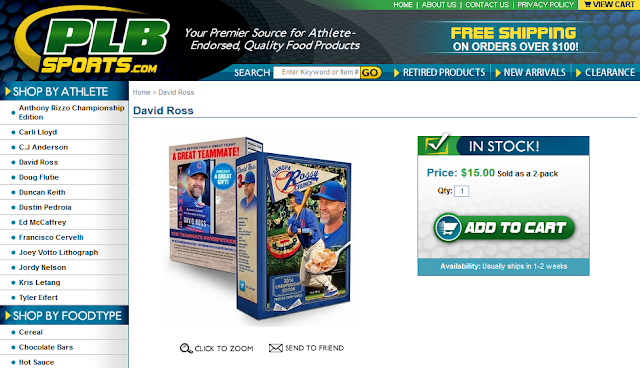 I came back to tell you about the Zobrist and Ross cereals but see you already posted an update. Don't forget to wrap your leftovers up in the Rizzo Wrap!